Here's the latest financial comic for Investing.com. This week's comic is about the value of the Euro in relationship to the dollar as of late. It's also about everyone's favorite topic, Quantitative Easing. Janet Yellen has signaled that the Federal Reserve will discontinue QE in the US in October. Over in the EU, ECB President Mario Draghi will likely begin a round of QE soon. 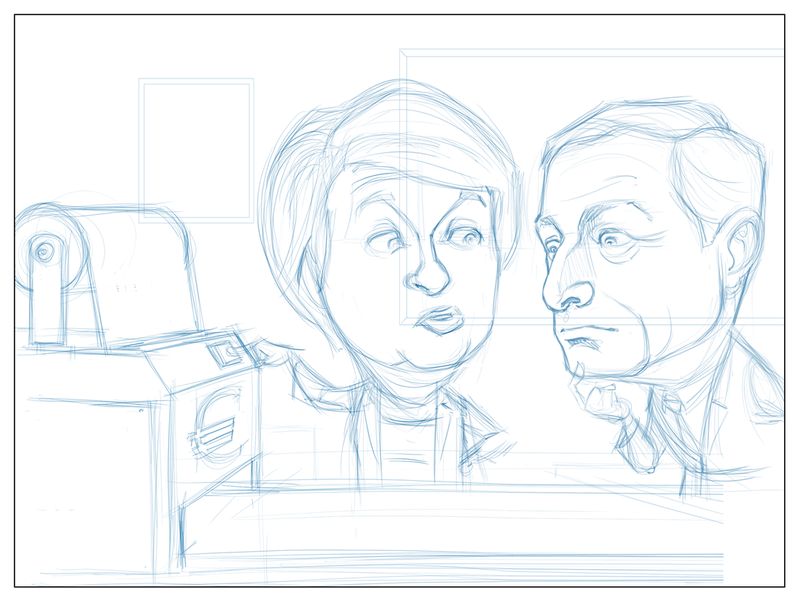 Have I mentioned how much I like the faces of Yellen and Draghi? Both have a lot of character and are all sorts of fun to draw. Yellen's face is always pretty expressive. And Draghi looks like one of the suave villains from a James Bond movie. Describing the physical characteristics of two of the most powerful people in the world might seems a bit odd and shallow, but this is a blog about illustration. If you want deep, insightful, and intricate commentary about world financial policy, you'll have to go to my other blog, Dollars and Sense. Which doesn't exist (actually, that name probably does exist but I have nothing to do with it). I think the craft on this one is decent. The money printer is a little off in terms of the perspective, but I don't think it's enough to sink the comic. 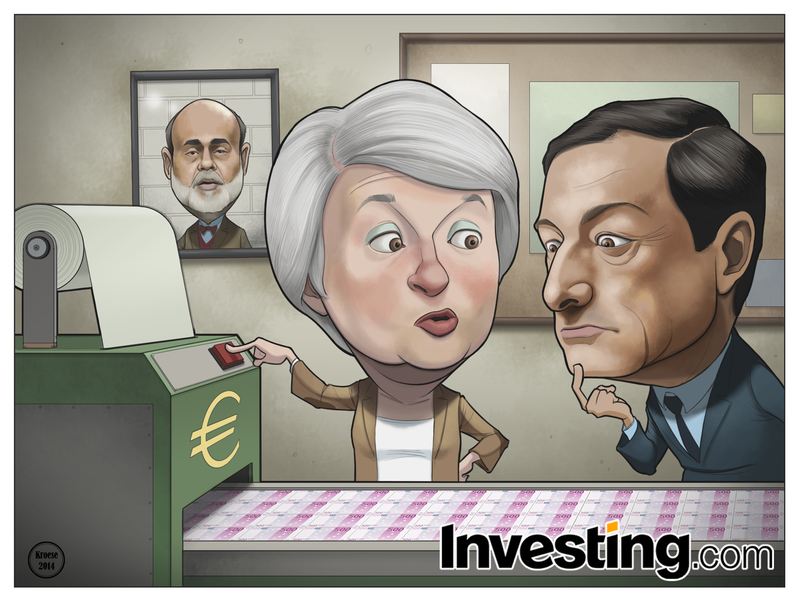 I think the Yellen and Draghi turned out well enough and I had a great time drawing the skin tones and shading. Overall, I'd give this comic a B+.